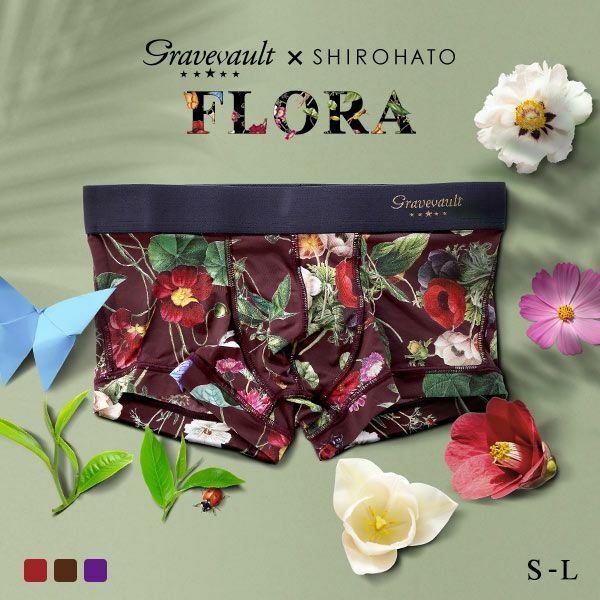 Quality underwear made in collaboration with Gravevault, who are constantly pushing the boundaries of quality with their attention to fabrics, design, construction methods and packaging. Boxer short feature a low rise and elastic fabric that moves in accordance with the body to give a comfortable fit. Fitting design and thin fabric help prevent unwanted lines and make the underwear perfect for wearing under tight garments. 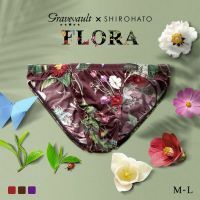 The Flora design is highly popular in Japan and is available in dark brown and red. These colors are exclusive to Shirohato and cannot be bought anywhere else! 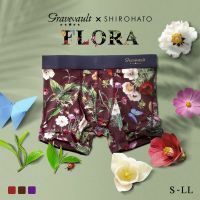 Inspired by beauty, the underwear does not feature any background in order to showcase the full beauty of the floral motifs. Recommended for sending as a gift, or a treat for your self. Take the plunge and experience the quality of Gravevaulut first hand. Fabric is a blend of with nylon 66 and high quality polyurethane. This results in a high quality fabric that feels good on the skin. 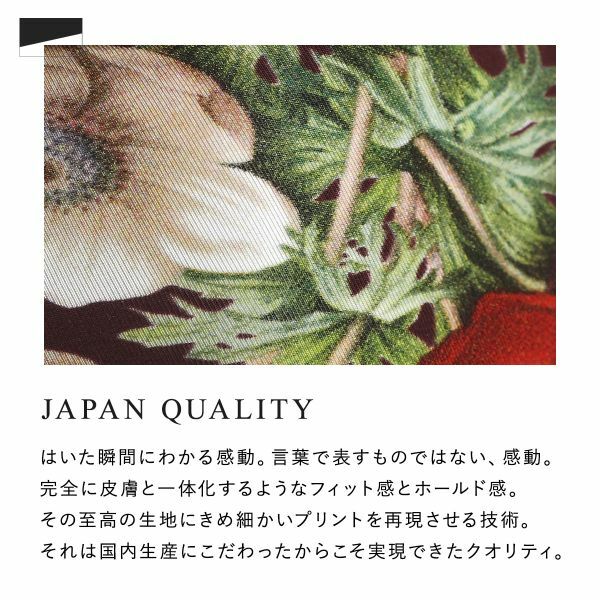 It is often said that nylon cannot be printed on, but this item features a beautiful print using Japanese technology. Gravevault logo is embroidered onto a back background, adding an extra hint of style to the refined design. Item comes in an original matte Gravevault box with silver Gravevault logo. Highly popular design of a botanical theme, featuring various types of flowers and insects. 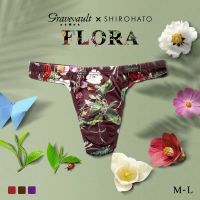 Available in bold red and chick brown, both of which are exclusive to Shirohato.